Chocolate chip cookie dough batter is my weakness (I know, I know your not supposed to eat raw dough). 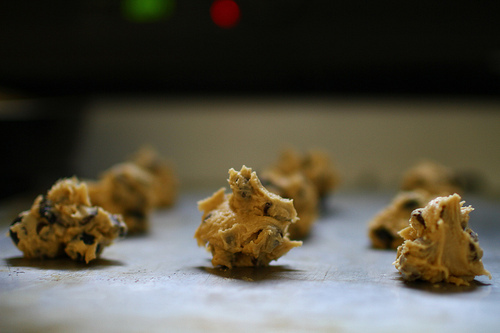 Here's an eggless cookie dough recipe that lets you have your dough and eat it too! Create your favorite cookie using the basic dough recipe then add in your favorite ingredients!